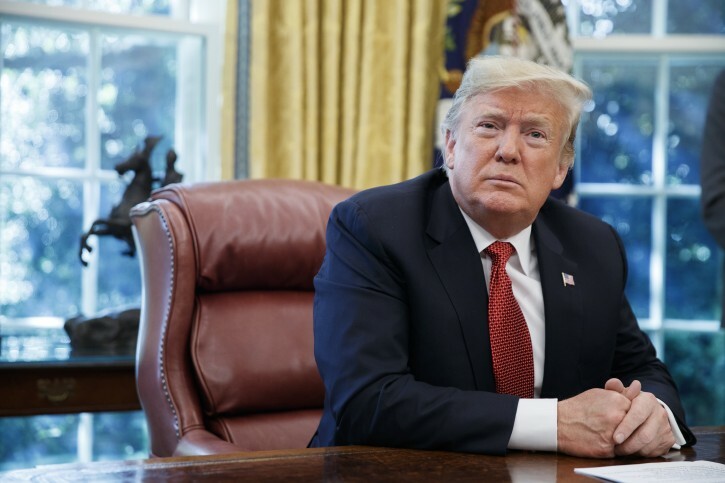 Washington - President Donald Trump on Thursday said he would to deploy the U.S. military and close the southern border if Mexico did not move to halt large groups of migrants headed for the United States from Guatemala, Honduras and El Salvador. Trumpf barks xenophobic orders in the US and binyumin Nussenyuhi responds by shouting jawol mein herr! Feh! Ban All Muslims. Remember? Now his best buddies is Saudi Arabia the 9/11 crowd. Hashomer, your hate is sad. Lo Saaneh Braichah Aid Shaker. An invasion is an invasion - whether from Gaza or from Mexico. “ Hashomer, your hate is sad. Lo Saaneh Braichah Aid Shaker. Either way s/he does not warrant a reply. I just wonder why vIN tolerates this. (Unless they put him/her up to it to evoke comments). This is about Mexico, not Israel, you flaming idiot.